Greenfield School Board President Sandy Free, left, engages in a robot race with robotics team member and McClain student Blake Gall at Monday’s school board meeting held at Buckskin Elementary. When Greenfield students return to school in the fall for the beginning of the 2019-20 school year, it will be under the leadership of current Rainsboro Elementary Principal Quincey Gray, who was selected by the Greenfield Board of Education at Monday’s meeting to be the school district’s next superintendent. Gray is in her sixth year as principal at Rainsboro. Before that she was at the Chillicothe City Schools for two years as a principal, and for 13 years before that at Miami Trace as a teacher and then as director of instruction. She received her undergraduate degree from Wilmington College and her master’s from Wright State. Unversity Gray graduated from McClain High School in 1993. As part of the consent agenda, board members accepted Gray’s resignation as principal at the end of the current school year. Also approved was a three-year contract with Gray as superintendent. According to board president Sandy Free, the choice of Gray “was based on her years of experience and her leadership skills,” as well as her passion for the students. “We look forward to handing her the reins and letting her move forward with her plans,” Free said. School board member Charley Roman said Gray would be a “great asset” to the district, adding that he looks forward to working with her. “This is a great hire for the school district,” Roman said. According to board member Jason Allison, Gray’s knowledge “of the best practices for maximizing student achievement and support of teachers in the district set her above the other excellent candidates.” He added that Gray knows that the most important job as superintendent is that “students are learning and achieving” at their highest levels. The board also approved a contract with Interim Superintendent Ron Sexton as middle school principal/consultant for next school year. 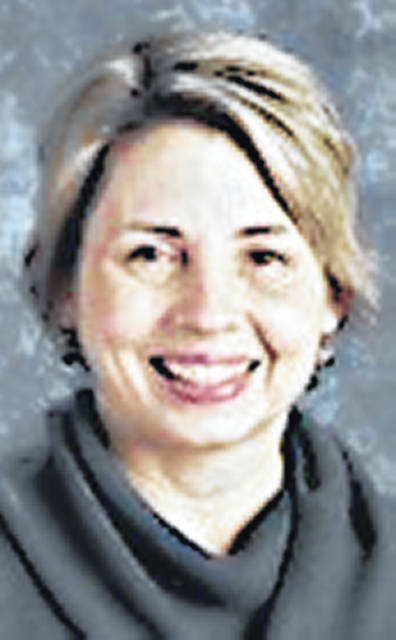 Wendy Callewaert, who is currently the middle school principal, will become Rainsboro’s principal, Sexton said. Sexton will also help transition Gray to her role as superintendent. As previously reported, Sexton served nearly four decades in teaching and administrative roles at the Wilmington City Schools before retiring in 2017 after nearly a decade as superintendent. He began as a consultant in January and worked with former Superintendent Joe Wills prior to Wills’ retirement at the end of February. The building projects Zint referred to is a new bus garage on North Fifth Street where the district previously purchased property, and the conversion of the old bus garage to an athletic facility. In other business, school board members recognized the bowling teams, robotics team, Quiz Bowl team — which finished sixth in the state at the small schools tournament, and the three elementary principals for awards garnered by their respective schools this year from the state. Each principal also recognized teachers from their schools. Among the award distinctions were the Schools off Promise Award, which went to 66 schools across the state. Two of those awards were bestowed on Highland County schools, with one of them being Buckskin Elementary, principal Mike Shumate said. The schools had to meet strict criteria to be eligible for the award, like earning no lower than a B on gap closing and value-added components of the state’s report card, as well as student proficiency scores in language arts and mathematics being 80 percent or higher. Rainsboro and Greenfield elementaries were recognized for their preschool programs maintaining a five-star rating for Step Up To Quality, a rating and improvement system managed by the Ohio Department of Education and Job and Family Services. In Sexton’s report, he said that on June 7, district staff and will receive training on signs of teen suicide as well as on crisis plans. Items on the consent agenda as approved by the board were: the resignation of cafeteria worker Lorraine Everhart for retirement purposes; the resignation of Owen O’Connor as girls track assistant; a resolution to allow paper/pencil testing of third graders next school year; the addition of an elementary teacher position at Greenfield Elementary; and a supplemental contract for a middle school robotics adviser.